Equity. Peace. 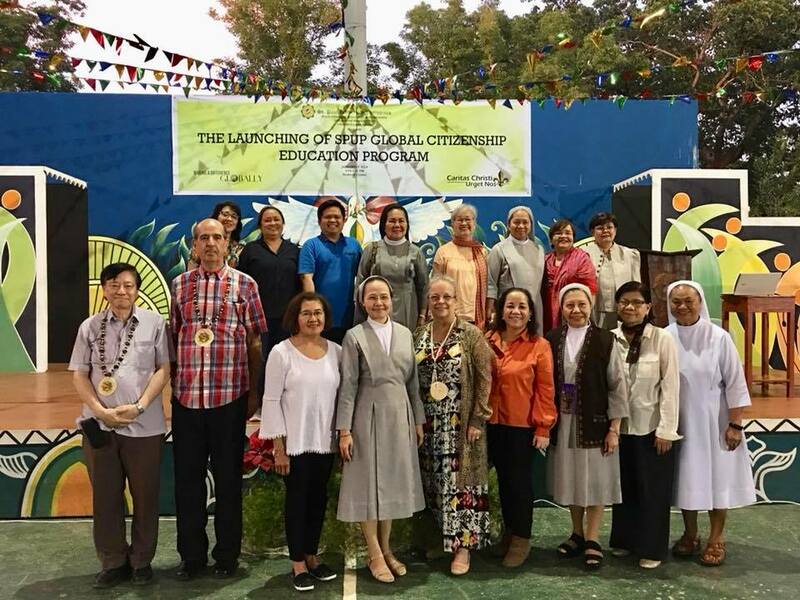 Universal realization of human rights—these were the main themes discussed during the official launch of the Global Citizenship Education Program at St. Paul University Philippines this January 17, 2019. The said ceremony, which emphasized the need for multi-cultural world community, invited three renowned advocates from the World Council for Curriculum and Instruction (WCCI). Dr. Toh Swee-Hin (WCCI President), addressed the Paulinians and reminded them that the Church’s celebration of the Year of the Youth comes with important considerations: the Eucharistic concept of “Beloved,” Dr. Toh explains, must mean not only the state of being loved, but to take action to love other people as well. In his message, Dr. Toh also reminded the Paulinian students about giftedness, and the empowerment that springs from education. WCCI’s focal points are not limited to peace, community development or environmental sustainability; in fact, on the topic of gender equity, the president of the WCCI stated that the human rights are not only applicable to a man or a woman but also to the marginalized members of the community. The said launching ceremony was attended by around 800 Paulinian students together with the faculty members, SPC Sisters and the Board Members of WCCI-Philippine Chapter.